Always Free. Always Funny. A Time Out Recommended Club. Running 7 nights a week above the Camden Head in Angel, Angel CComedy mixes carefully selected acts from the open mic circuit with established professional comics. 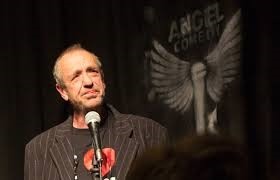 Angel Comedy has also hosted household names such as Russell Howard, Dara O'Briain and Tommy Tiernan, and in February 2015 launched the Angel Comedy Podcast, featuring performers in conversation with Chortle nominated resident MC Barry Ferns.